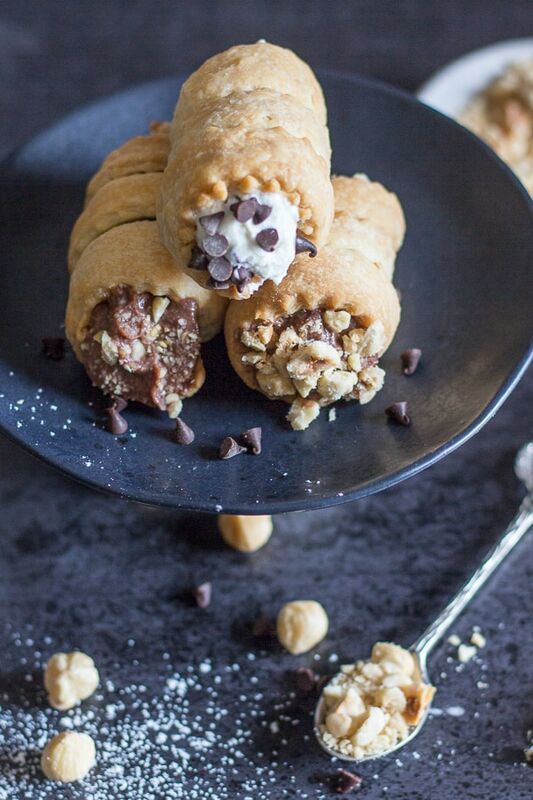 Pastry Baked Cannoli, are an easy homemade flaky pie dough filled with a Nutella filling or a traditional Ricotta filling. Both creamy and delicious. Take your pick or do both. We are big lovers of desserts in our house, some of our favourites are An Easy Yogurt Cake and these yummy Puff Pastry squares Sporcamuss, stuffed with a creamy Italian Pastry Cream. My husband and most of the Italians I know are absolute Cannoli lovers. They love the traditional Sicilian Cannoli Recipe. Whenever a pastry tray appears they are always the first to go. The pastry dough is made with a little cocoa and either Marsala or a dry white wine. The dough is rolled thin and then cut into round circles and wrapped around cylinders. They are then deep fried until crisp and golden. They are then placed on paper towels to drain and then cooled completely. 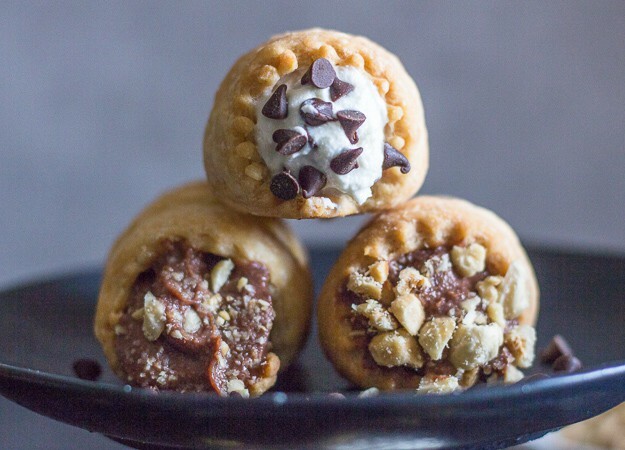 Once cooled they are then stuffed with a simple ricotta filling, that is usually mixed with chocolate chips or candied fruit. I decided to switch it up a bit by using some leftover pie pastry I had from a previous recipe. 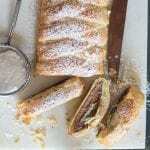 So I thought why not try making some Pastry Baked Cannoli? I used my Mom’s Pie Dough Recipe , which is a simple flaky dough that I just love or if prefer this Brown Sugar Pie Dough would make the perfect alternative. Make the pie dough of choice. Roll out the dough very thin, about the same thickness as a pie. Cut long strips approximately 6-8 inches. 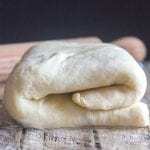 Wrap the dough around the cylinders (or make your own cylinders by rolling up aluminum foil). Let cool enough to handle and gently slide the baked cannoli off the cylinders and cool completely. Fill cooled cannoli with filling. 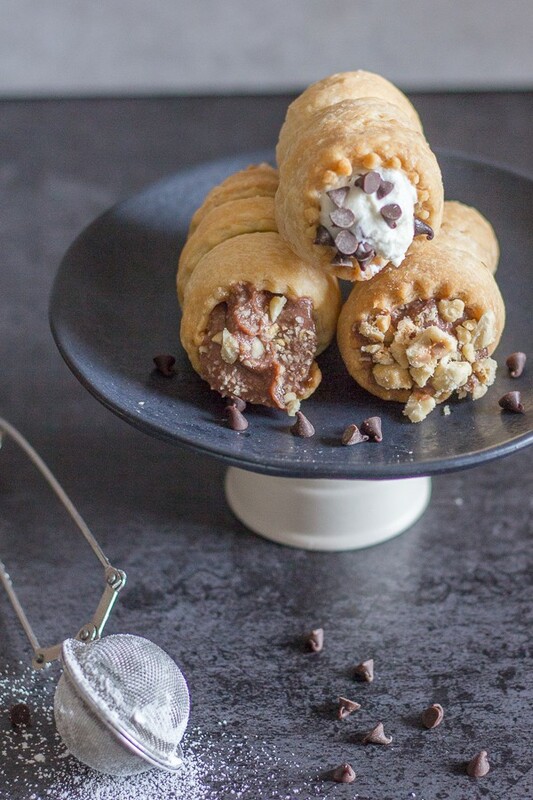 So if you are looking for a new way to make Cannoli, or you have some leftover pie dough hanging around, Pastry Baked Cannoli should definitely by on your to do list. And of course don’t forget that filling! 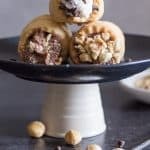 Being a Nutella loving family I couldn’t not fill them with a creamy Nutella Ricotta Filling and of course a traditional Ricotta Chocolate Chip Filling, either way or both, I am sure you are going to love these Baked Cannoli. Enjoy! **drain ricotta for at least an hour if very wet drain for 24 hours (refrigerated). Make the Pie Dough . Line a cookie sheet with parchment paper. Lightly grease cannoli or foil cylinders. 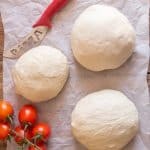 Remove the dough from the fridge (this recipe is for half the dough so leftover dough can be frozen or double the recipe). 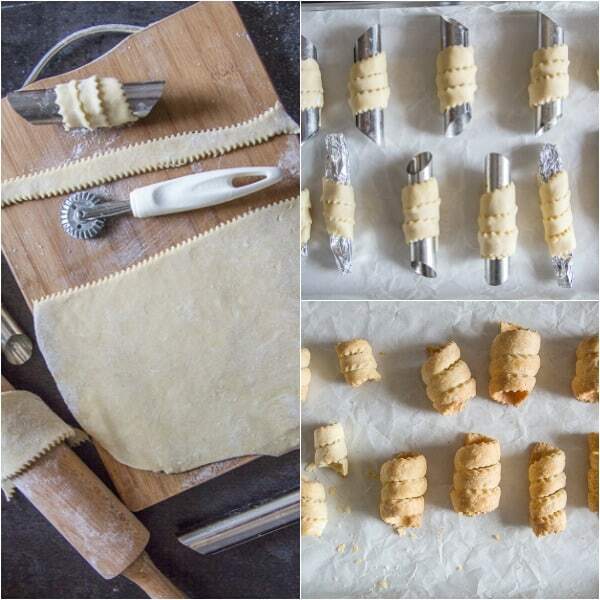 Roll out the pastry to approximately 1/8 inch thickness, Cut into long strips and wrap around traditional cannoli cylinders or make your own with aluminum foil**. Bake in a pre heated oven at 350 F (180C) for approximately 15-20 minutes or until golden. Let cool enough to handle and gently remove from cylinders. Let cool completely on a wire rack before filling. Enjoy! Mix until creamy and smooth the Nutella and Ricotta. 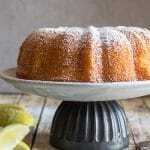 Refrigerate for approximately 20 minutes. Place filling in pastry bag and fill cooled cannoli. Sprinkle with chopped nuts and dust with powdered sugar if desired before serving. 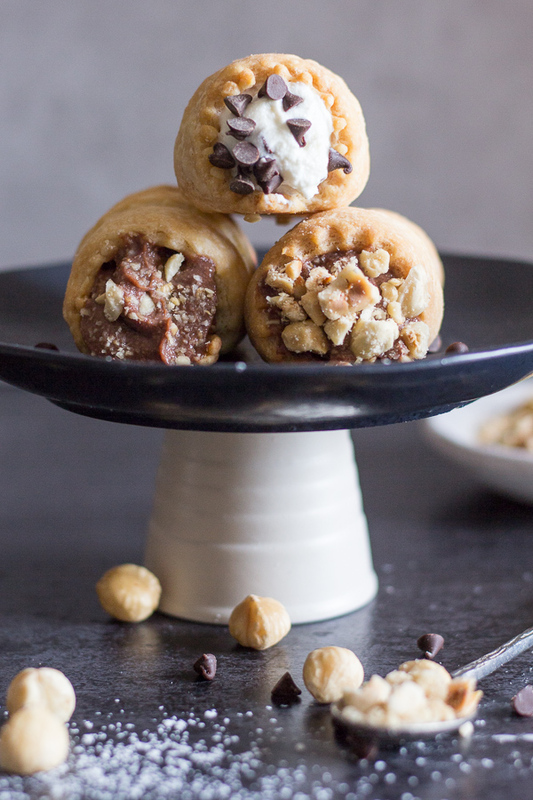 Beat together ricotta and sugar, fold in chocolate chips, refrigerate 20-30 minutes before using. Place filling in pastry bag and fill cooled cannoli. Sprinkle with chocolate chips and dust with powdered sugar if desired before serving. **cut a sheet of foil approximately 12 inches, fold in half and roll up to form cylinders. I am ready to put these baked cannoli shells in oven. The recipe does not give temperature of oven should it be in center rack. Hi Virginia, sorry about that 350F (180C) and yes centre rack. I made these the other day and they were so good. Everyone loved them. Thanks for the recipe. Thanks Pam so glad you enjoyed them. Have a great weekend. Have you tried it with a sweet cream to replace the ricotta? Quite nice. Hi Bill, I am sure it is, sweet cream is one of my favourites. Good idea.